Minecraft 360 Edition's Skyrim DLC includes all the textures, skins, and music needed to make your character feel like a true Dovahkiin. 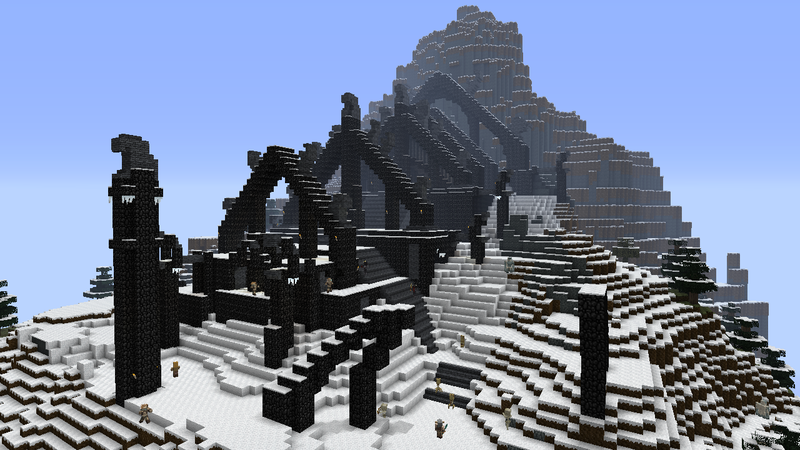 Minecraft 360 Edition may not support large-scale fictional landscapes like Westeros or Middle-Earth, but it still has some pretty unique features. For example, 4J Studios has recently begun offering licensed "mash-up" packs that combine Minecraft with other game worlds, starting with BioWare's Mass Effect. For its latest mash-up, 4J is aiming even higher with Skyrim, another game praised for both its epic scope and prominent use of dragons as boss characters. 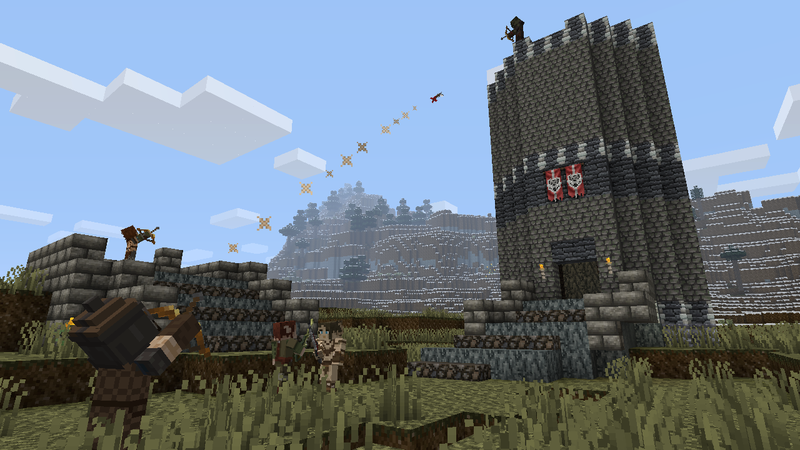 Sadly, the Minecraft/Skyrim mash-up still can't render an entire continent within an Xbox 360. That said, it will offer just about everything else that makes us think of Nords and Stormcloaks. 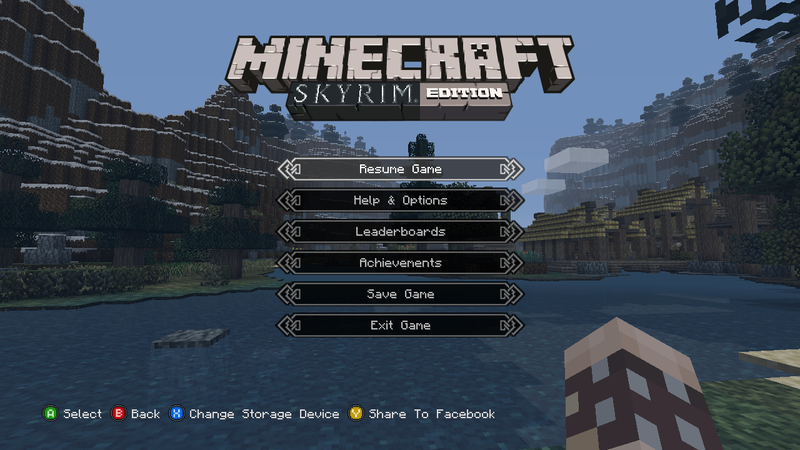 The pack includes Skyrim textures for new and existing Minecraft worlds, Skyrim's musical soundtrack, new menus and UI images, and 40 Skyrim character skins. These skins cover everything from male and female Dragonborns, to Imperial and Stormcloak Soldiers, Necromancers, Dragon Priests, and even Khajiit Merchants. 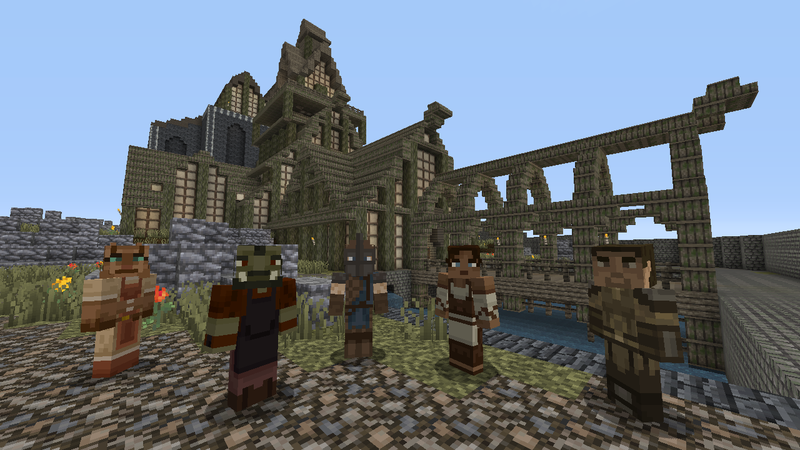 Minecraft's gameplay remains the same as the Xbox 360 Edition, but the mash-up will feature a single pre-made world encompassing Whiterun, Riverwood, and Bleak Falls Barrow to help orient you to the new content. 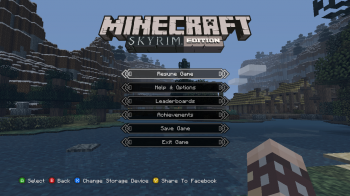 With a promised release date of "soon", the Minecraft Skyrim mash-up can eventually be found at Xbox Live for $4. Just like the Mass Effect mash-up, a free trial will be made available that allows players to view Skyrim content without the ability to save their creations. Now if only we could start getting these mash-ups to the PC version. Be honest: For the chance of an official Skyrim continent populated with Minecraft dragons, you'd take an arrow to the knee, wouldn't you?